We ask for Allah’s blessings on all those who read this for Jesoor Al Salaam which is giving them the knowledge of all our intended good works for all those who are ill, poor and in need. This blessing is without condition, in the true spirit of love and compassion that is Islam, whether those persons are able to give us financial support or not. they will have their reward with their Lord. We ask for Allah’s special and constant blessings of abundance and support to those who find themselves able to help further the aims of Jesoor Al Salaam both in financial support and in their actions. We pray that Allah’s gifts and blessings to them are as plentiful as the life generating refreshing rain that is part of Allah’s natural gifts to the world like the sun and the moon. All who are involved in Jesoor Al Salaam thank you for your generosity and your compassion for those who are ill, poor and in need. You can be sure that your gifts have healed their suffering and brought them peace. 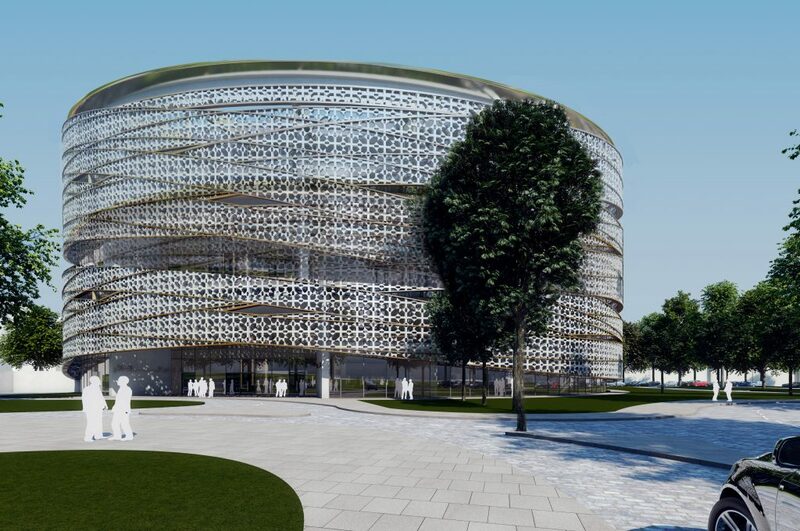 Design of the new Jesoor Al-Salaam building. Over many years, Mohammed Al-Rahim, Founder, CEO and President of Freshwinds, has gained very extensive experience of the Third Sector and Freshwinds as an organisation has extensive knowledge of rehabilitative and supportive care for people with life-threatening illnesses and those who are socially excluded. Bringing the Arab Muslim and Muslim communities together to help recognise the true love and compassion of Islam and to demonstrate this through a number of new projects which further demonstrates to people of other faiths the generosity and kindness of Arab and Islamic people. The main objective of Jesoor Al Salaam is to help the poor and those in need and to demonstrate the love, compassion and generosity that is the spirit of Islam and Muslim people across the world and to change the negative misunderstandings of Islam. Islam is a progressive, modern, generous and compassionate religion and is not as it is sometimes unfortunately portrayed in the media. It is also to clearly enhance the view of the Arab Muslim world as great benefactors of compassion, mercy and generosity as Mohammed Al-Rahim has found in his travels in the Middle East and reflects his love for all of our Middle Eastern brothers and sisters.